An Introduction to Grace Bay… And Beyond! Home » Tips » Providenciales » An Introduction to Grace Bay… And Beyond! After sublimely beautiful Grace Bay was ranked as the #1 beach in the entire world by TripAdvisor users in 2016, this stunning white-sand beach, with its turquoise waters, has gained a global reputation with savvy travelers. 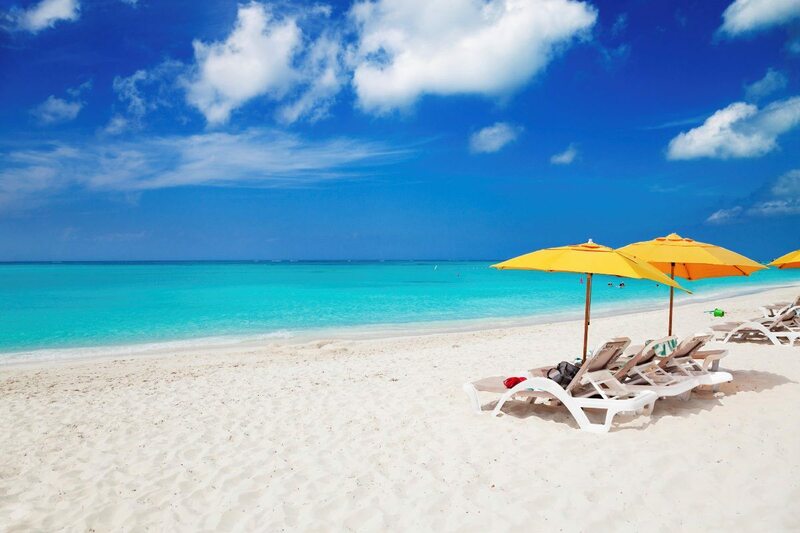 Everyone wants to visit Grace Bay Beach, but how do you plan your trip? We’ve prepared this short introduction to Grace Bay, as well as the island of Providenciales. 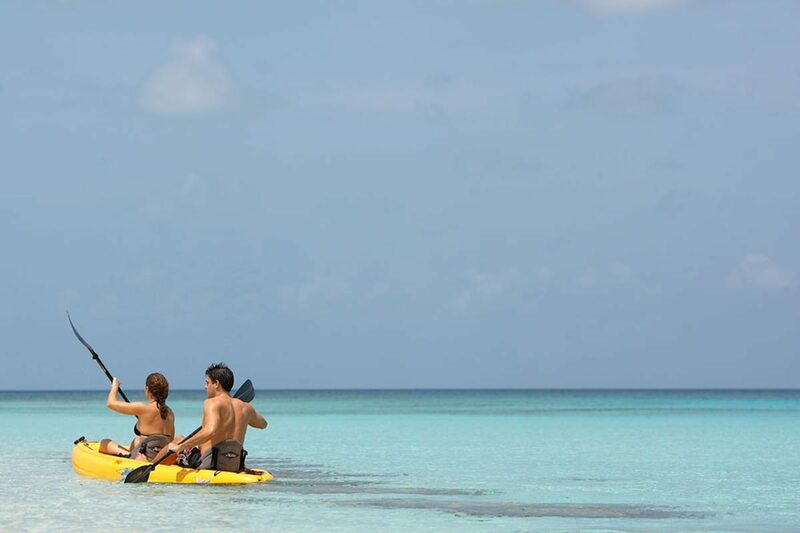 We want to make planning your stay in the Turks and Caicos as easy as possible. The island of Providenciales has been named the “top island in the world.” There is beautiful weather, and even more beautiful beaches. Providenciales is also where you should base your stay in Turks and Caicos. This island is home to a modern international airport, and is the transportation and commercial hub of the Turks and Caicos. There are world-class resorts, an amazing culinary scene, and tour and travel operators that let you explore the islands. Besides being named the world’s top island with the world’s top beach (Grace Bay), Providenciales has a unique, relaxed and intimate island vibe all its own. Most international flights come into the island of Providenciales (airport code PLS). The airport is located towards the west end of the island in the downtown area. 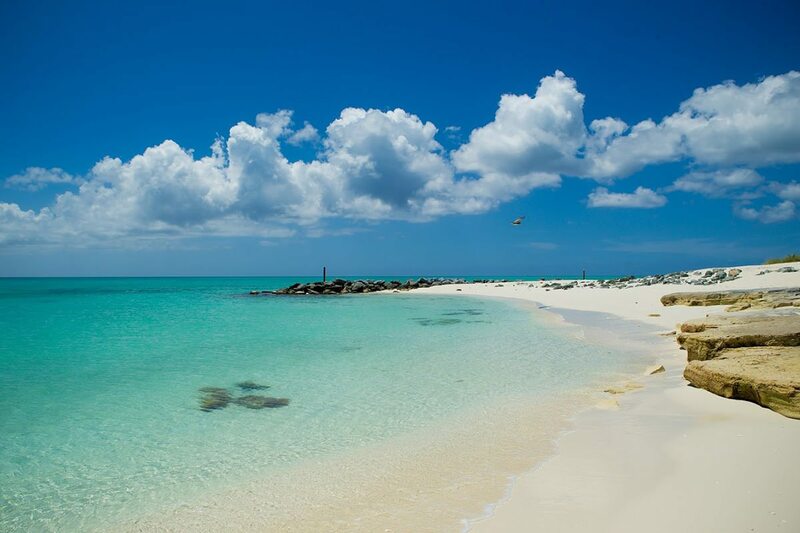 Approximately 20 minutes drive from the airport is award winning Grace Bay Beach. 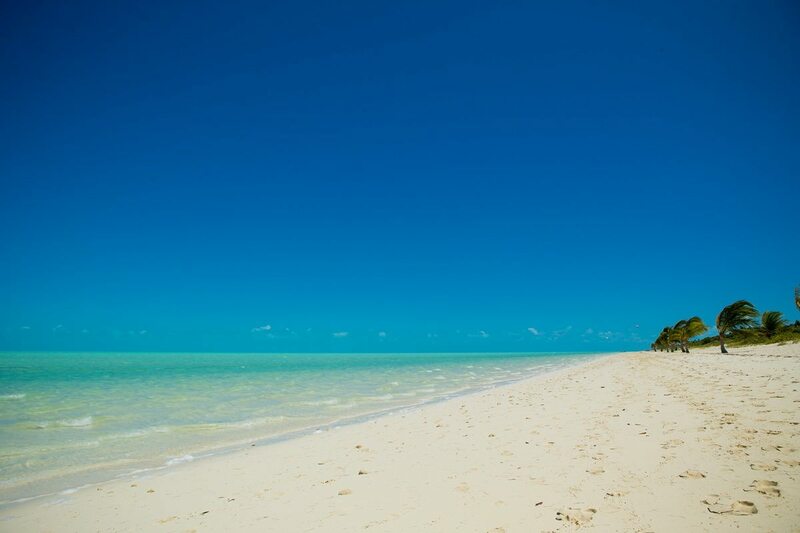 This is a 12 mile stretch of white sand beach and turquoise waters. The beach is lined with beautiful luxury resorts. Many of these resorts are luxury resorts, but there are casual options as well (ask us for advice). 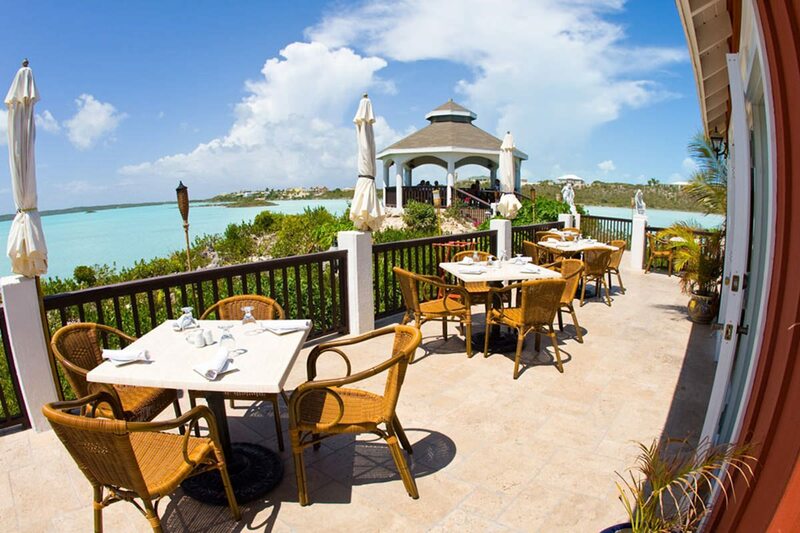 There are also plenty of world-class restaurants that are open to the public right on Grace Bay Beach. 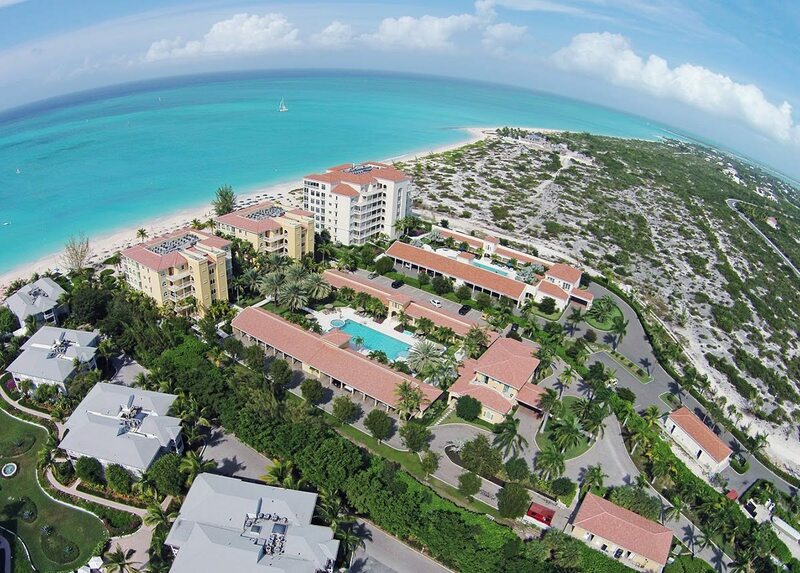 Central Grace Bay Beach is where Providenciales’ main shopping areas are located. Ports of Call, Regent Village and Salt Mills Plaza are all central shopping plazas that have shops, restaurants and bars. As well, Graceway Gourmet, a fantastic high-end supermarket, is located in Central Grace Bay. Besides being stocked with a variety of cheeses, fresh produce and other delicacies, Graceway Gourmet also offers one of the best wine selections on the island. 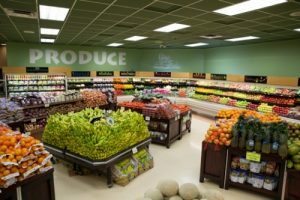 This well-stocked supermarket is just a twenty-minute walk from most resorts on Grace Bay Beach. Looking for more info on shopping in Providenciales? We have a created a video, just for you! As you go travel east along Grace Bay Beach you’ll encounter wide and nearly deserted stretches of beach. East Grace Bay offers privacy and seclusion. There are fewer resorts here, and fewer visitors. Although East Grace Bay is located some distance from the commercial amenities of central Grace Bay, there are stunning restaurants in this area. And it’s just a short 10 minute drive to central Grace Bay to shopping areas and other restaurants. . You may wish to consider a car or some resorts include complimentary bicycles or a taxi can be arranged. If you walk in an easterly direction along Grace Bay Beach you’ll pass an area called “Pelican Beach.” Some locals refer to it as “Leeward Beach”, but it’s still Grace Bay. You’ll eventually end up in the residential area of Leeward. Here there are long stretches of beach which can be virtually deserted on some days! Just off the eastern tip of Leeward there are mangroves across the channel. This is a lovely spot for kayak and paddleboarding day trips! 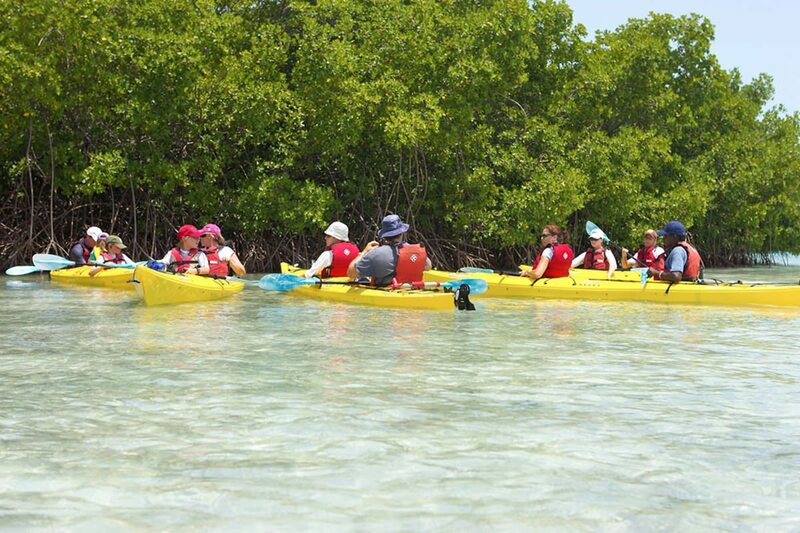 Float through the channels and path and experience the calm serenity of pure nature while seeing juveniles fish, turtles, stingrays and even lemon sharks in very shallow crystal-clear waters. Can you tell this is one of my favourite things to do? As you head west from Central Grace Bay,the beach narrows a bit after passing the all-inclusive Beaches Resort and then you reach Coral Gardens. This is West Grace Bay. 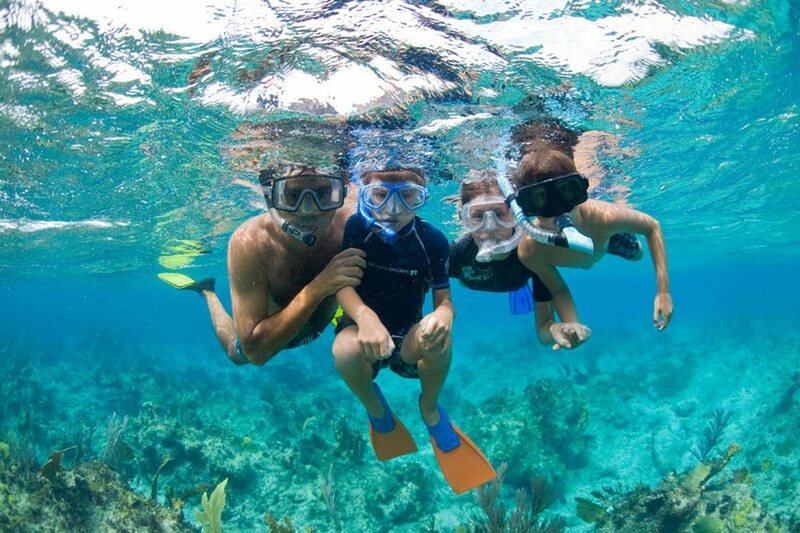 Coral Gardens is also known as the “Bight Reef,” and there is spectacular snorkelling right off the beach. View colorful coral heads, sea fans, plenty of fish, turtles, lobster and other sea life. 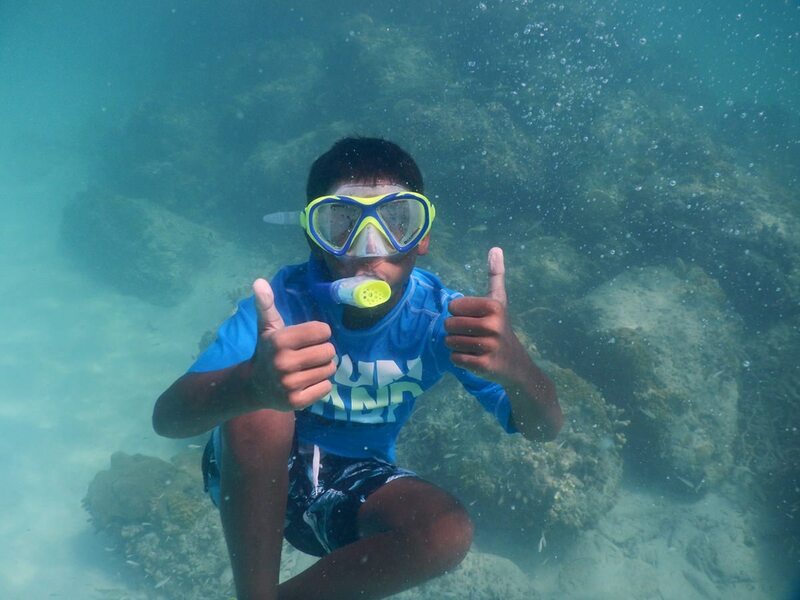 All of this starts in waist deep water so it’s perfect for young snorkelers as well. Further along there is turtle grass – it is well worth a search for a turtle. 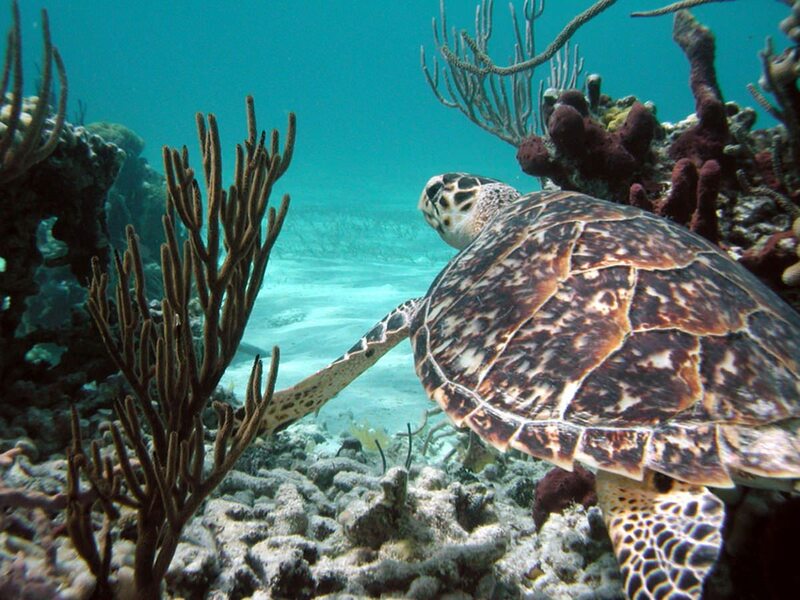 Nothing clears the mind like following a turtle through the beautiful turquoise seas. 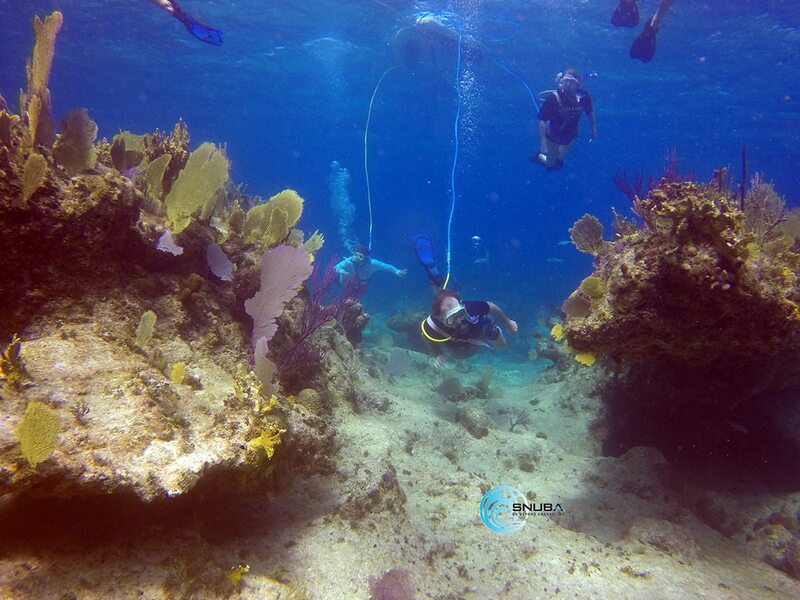 If you are not an experienced scuba diver, you can always try out SNUBA here on the west end of Grace Bay. No previous diving experience or even snorkeling experience is required. You need only basic swimming skills and a desire to explore underwater. Here on the west end of Grace Bay Beach you have the benefit of all of this marine life but still enjoy plenty of white sands and clear turquoise waters since the turtle grass is approximately 50 feet from the shore. If you’re starting out at this end of the beach there are some lovely restaurants to try. The west end of Grace Bay Beach is just a eight-minute drive to Central Grace Bay for other ‘ restaurants and shops. Turtle Cove is located just to the west of Grace Bay Beach. There is a large marina in Turtle cove which offers great views and wonderful ambiance for all of the restaurants, coffee shop, pubs and shops located in this area. As we head over to the southeast end of the island we reach stunning, secluded and untouched Long Bay Beach. Long Bay offers and incredibly long strand of white powdery sand, and shallow turquoise waters that seem to extend to the horizon. Long Bay also offers seclusion and solitude. There is just one resort on Long Bay, nestled at the very northeastern end of the beach. The rest of Long Bay is yours to explore. It can tend to be a bit windy on this side so it has become a great spot for watersports such as kite boarding. If you are not a kite boarder, Long Bay Beach is still a great place to just come and watch. It is lovely to see the boards gliding through the water with the kites above! As we drive towards the west on the highway you will eventually pass the IGA. This is one of the main grocery stores on the island and it is really fully stocked. 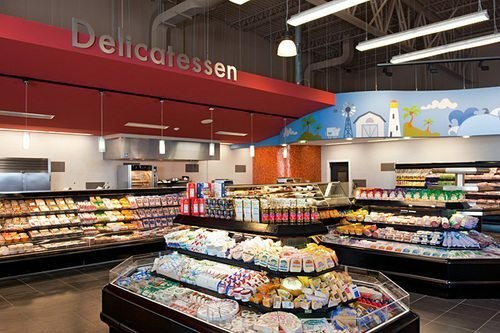 Fruits, vegetables, meats, deli counter, cooked items such as rotisserie chicken, and plenty of other items can be bought here—even plenty of staples you will be familiar with from home! 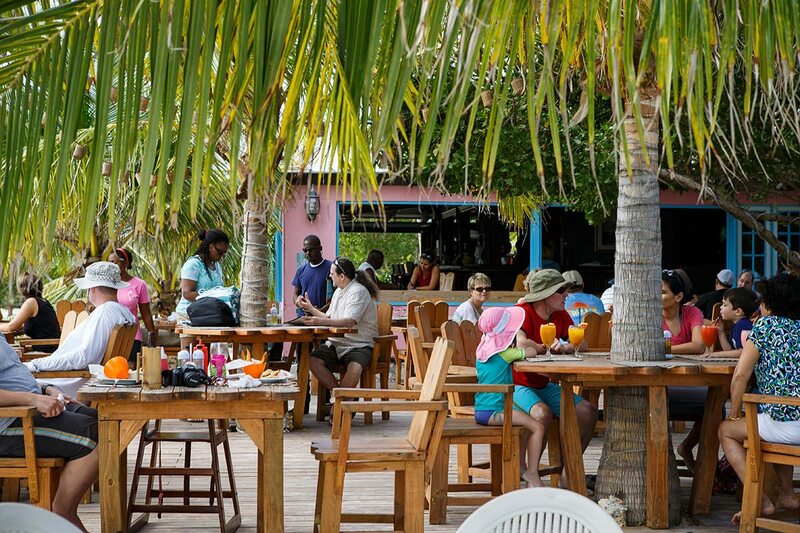 Five Cays is where the world-famous Bugaloo’s restaurant is located. Enjoy exceptional local cuisine in this seaside restaurant. Just pass Bugaloo’s on the beach is the local fishermen’s market. They tend to operate on “Caribbean hours”, so be sure to call ahead to make sure they are open and have fish. Traveling further west along the coast is incredible Chalk Sound. Chalk Sound is a lake of shallow waters that are almost a glowing neon turquoise color! It’s stunning! Stop by the Las Brisas Restaurant for lunch or dinner, or just a drink at the bar. You can also jump aboard a pontoon boat tour to explore the area on water, or just rent some kayaks and cruise around by oar. Also in this western area of Providenciales is Sapodilla Beach and Taylor Bay Beach. Both of these beaches are huge favourites among the younger kids and their parents. You can walk for twenty minutes out into the lagoon and still be in knee-deep water. These beaches are ideal for younger “pre-swimmers” who can free safely enjoy a splash in the beautiful turquoise waters of Turks and Caicos. The final stop on our mini-tour of Providenciales is Blue Hills. Blue Hills is a local residential area that is a great example of Caribbean living. Here in the Blue Hills you can experience the charm of the island the way it used to be. The restaurants in Blue Hills offer local cuisine and a true Caribbean feel. There are several island style restaurants where the drinks flow, scenery is great, island food is awesome and get into the island spirit with some toe-tapping reggae music. Can’t find what you’re looking for? We’re always here to help – click above to contact us via live chat, call us toll free or email us here.